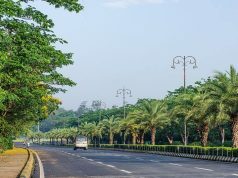 Bhubaneswar: Smartcity Bhubaneswar has been in limelight since a few years now for many of the reasons. Be it for its nomination as the top of the smartcity list of be it for the improved cycling culture as a greener initiative, or be it as the venue of Hockey World Cup, Bhubaneswar is making some noise in the national news off and on. Recently Bhubaneswar witnessed another historic event for promotion of competitive cycling in the city. 22 Bikes – a well-known cycling hub in the city came forward with a revolutionary idea of bringing competitive cycling to Bhubaneswar with first of its kind of road race – The Ekamra Road Race-2018. Although there are some racing events organized by Decathlon, Phulnakhara and IOCL in recent past, this Ekamra Road Race is completely different from all such events in its grandeur, participation and open-ended competitive invitation. The Ekamra Road Race 2018 has a track of 51KMs selected on the less-crowded zone of Hanspal and Dhauli (the Peace Pagoda) with a circular route. 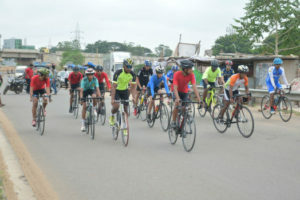 More than 30 cyclists from different cities of Odisha, Chhattisgarh and Jharkhand participated in this race organized by 22 Bikes, Bhubaneswar on Sunday, 6th of May, 2018. 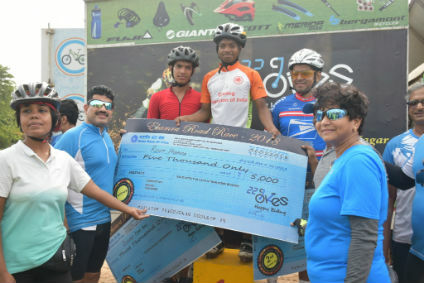 A cash reward of Rs.10000 was awarded to the podium finishers with certificate of participation to all the participants. 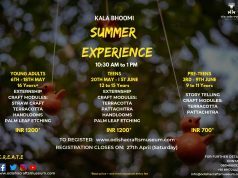 This was one of its kind events with a complete private management without any external funding. 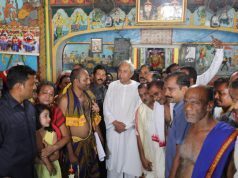 The race was flagged off from Puri-Bypass road at Hanspal and took two laps till Dhauli and ended at Hanspal. Rohit Hembram (15) from Steel City – Rourkela bagged the first prize, followed closely by Dushyant Barle (16) from Chhattisgarh as 1st Runners Up and Parashuram Choudhury (35) from the Steel City- Rourkela. The intense headwinds with hot and humid climate compelled the participants to rush some serious adrenalin to stay ahead in this competition. The winners received cash rewards and certificate of appreciation from the President of BCAC, Sj. Sanjeeb Panda, IPS. The cheering up from the cyclists of BCAC was yet another show added to the grandeur of the Ekamra Road Race – 2018. Competitive cycling is something new to Bhubaneswar, which has seen a boost in popularity of cycling as a healthy and green mode of transport. Currently there are around a thousand or odd cyclists of Bhubaneswar who are cycling regularly under different unregistered and registered clubs. There are some institutions in Bhubaneswar working seriously to develop a cycling culture among the citizens. The government is also keen on developing a cycling-friendly infrastructure in the city. With all such developments, competitive cycling like Ekamra Road Race can be very well termed as a history in making with its objectives, modus operandi and stature. We hope more people; especially youths will be encouraged towards adopting cycling with such competitions.